Tensorflow implementation of Deep Visual Analogy-Making. The matlab code of the paper can be found here. Result of analogy transformations of shape dataset with fully connected layers (L_deep) after 1 day of training. 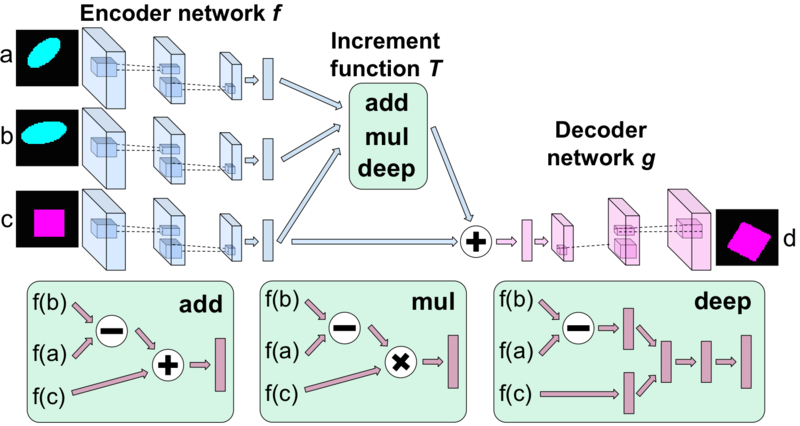 From top to bottom for each : Reference, output, query, target, prediction, manifold prediction after 2 steps, and manifold prediction after 3 steps.